Can I Recover Damages for Intentional or Negligent Infliction of Emotional Distress in Texas? In Texas, if you were involved in a car accident but were not physically injured in any way, the law says you can’t sue the other party for emotional distress. Absent physical injury, the common law has not allowed recovery for negligent infliction of emotional distress except in certain specific, limited instances. In Kerr case, Texas college student Leigh Kerr alleged that she suffered humiliation and severe emotional distress stemming from a video recording that had been made of her unbeknownst to her and without her permission. Kerr sued the two young men responsible for creating and sharing the video for negligent (but not intentional) infliction of emotional distress. The jury found the defendants guilty, but one defendant appealed the decision, which led to the Texas Supreme Court precedent. The Supreme Court said the original facts of the case did not support a claim of negligence, but rather, intentional injury, and that it was masked under “negligence” to obtain the insurance coverage resulting from the judgement. This is the reason that Texas and many other states have tightly revised their laws involving claims of negligent infliction of emotional distress. And this is also why if you were involved in a car accident and did not suffer bodily injury, Texas law prevents you from suing for emotional distress or mental anguish. What if I’m scared to drive after the accident? We get calls about this all the time from clients who were involved in car accidents but were not injured. They say they feel “on edge,” “scared to drive,” “traumatized,” and often say they’re unable to drive to work, school, or other routine places. Unfortunately, unless they were physically injured, we can’t help them sue for emotional distress under Texas state law. You can sue for intentional infliction of emotional distress if you can prove that there was intentional conduct involved. This is often the case in “road rage” cases that lead to bodily injury. The problem with this approach is that insurance does not cover intentional acts so you would be required to seek payment from the tortfeasor himself (or herself). Is it worth it to sue for intentional infliction of emotional distress? Every case is different, but a legal expert can help you determine if you may have a successful claim for intentional infliction of emotional distress related to your auto accident or personal injury. The amount and availability of non-economic damages related to emotional distress can vary depending on the nature of your bodily injuries and personal property damage related to the claim. If you don’t file suit for this type of emotional distress, often your lawyers will also be able to negotiate a settlement based on the potential for these claims to hold up in court. If you believe there was road rage involved in the at-fault-driver’s negligence involving your car accident, and your accident involves bodily injury, you should ask your car accident lawyer about recovering these types of damages if the results of the accident caused you significant emotional distress. How can I prove that I have emotional distress? Like any part of the treatment and recovery process involved in personal injury claims, you should always document all of the symptoms and challenges you suffer as they relate to your injuries. The list of ways that individuals can be impacted by emotional distress and can vary from person to person and situation to situation. 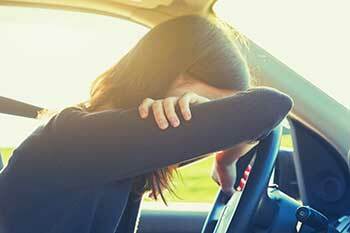 Many more symptoms of emotional stress exist that should be noted and documented whenever possible after your accident. If you seek medical treatment for these symptoms, you should make sure to document the interaction and results of those visits. It’s also a good idea to keep an informal daily journal or diary to record your stress levels or mental symptoms every day. You can do so online with free tools that will allow you to “timestamp” your entries to properly date and time them. Generally speaking, it’s important to note and document all aspects of your physical and mental recovery after a car accident, as it’s far easier to prove how these symptoms have affected your life due to no fault of your own. When in doubt, consult a trusted legal professional to help guide you through the claims process. Can I get compensation for "pain and suffering" after a minor car accident?